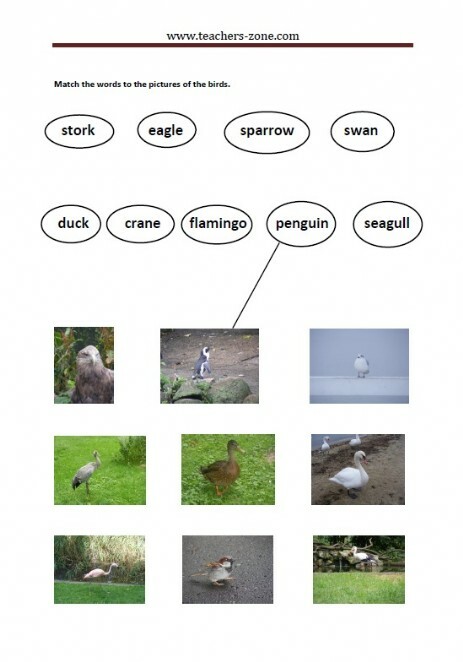 Pre-teach vocabulary with birds flashcards. 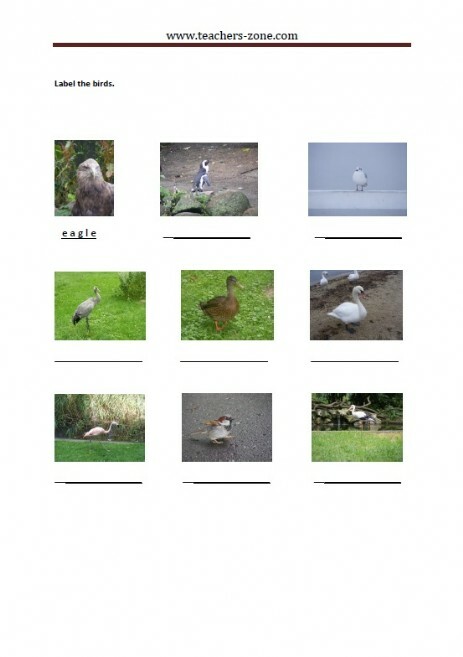 Match the labels to the pictures of the birds. 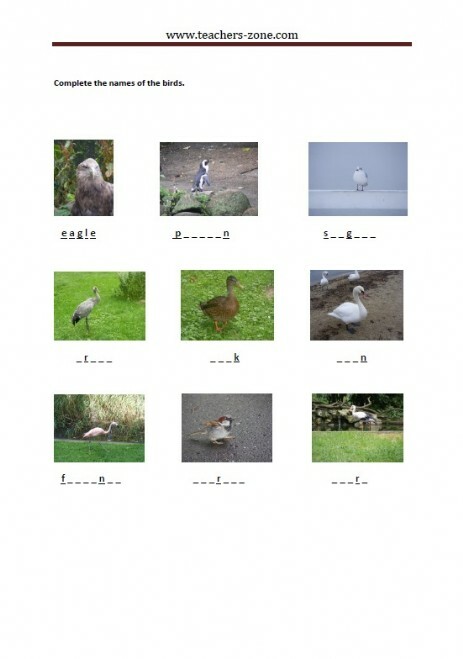 Complete the names of the birds. 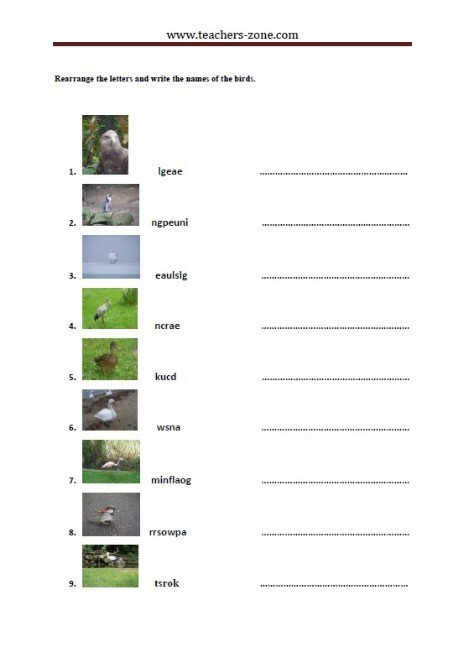 Rearrange the letters and write the names of the birds.